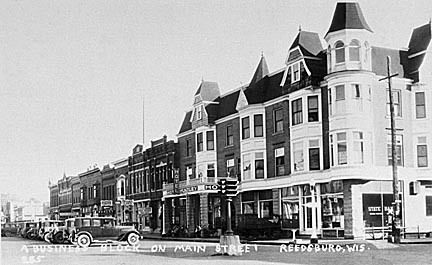 The library has a collection of CDs that contain digital images of 19th and 20th Century photographs of the Reedsburg area. These discs were produced in 1999 through an extensive project whereby pictures from various local history collections were scanned, organized, and indexed by Bill Schuette. Copies of photographs are available for $5 each. Also available on cd format. Check out our request form (pdf) for ordering.